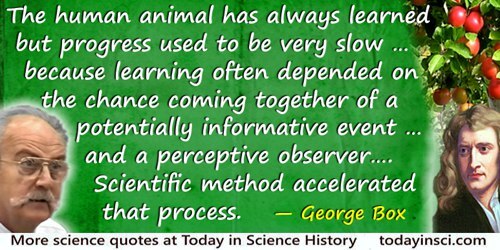 Experiment adds to knowledge, Credulity leads to error. For it is necessary in every practical science to proceed in a composite (i.e. deductive) manner. 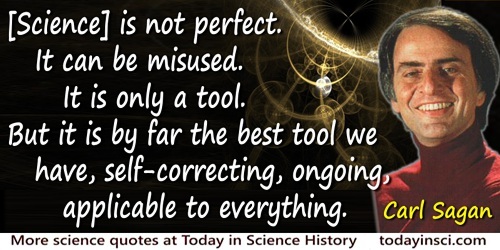 On the contrary in speculative science, it is necessary to proceed in an analytical manner by breaking down the complex into elementary principles. Sententia libri Ethicorum (Commentary on the Nicomachean Ethics) [127 I], Book I, lecture 3, section 35, trans. C. I. Litzinger (1993), 12. Given by author Thomas George Bonney as a maxim always guiding Lyell’s work. In Charles Lyell and Modern Geology (1895), 213. See another quote on this web page and compare Lyell’s own words: “We must preach up travelling … as the first, second, and third requisites for a modern geologist…”. Good methods can teach us to develop and use to better purpose the faculties with which nature has endowed us, while poor methods may prevent us from turning them to good account. Thus the genius of inventiveness, so precious in the sciences, may be diminished or even smothered by a poor method, while a good method may increase and develop it. It is certainly true that principles cannot be more securely founded than on experience and consciously clear thinking. 'The Goal' lecture at Princeton University (1939), quoted in Philipp Frank and George Rosen, Einstein (2002), 287. Man occasionally stumbles on the truth, but then just picks himself up and hurries on regardless. 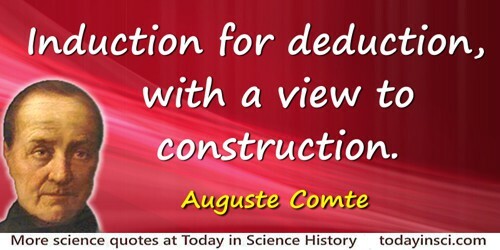 Science is a system of statements based on direct experience, and controlled by experimental verification. 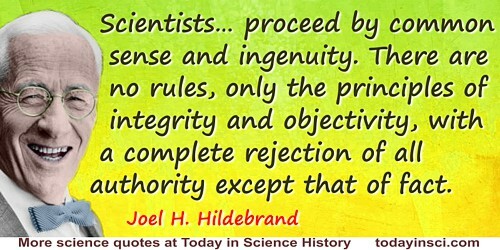 Verification in science is not, however, of single statements but of the entire system or a sub-system of such statements. The Unity of Science (1934), trans. Max Black, 42. The Unreasonable Effectiveness of Mathematics', The American Mathematical Monthly (Feb 1980), 87 No.2. 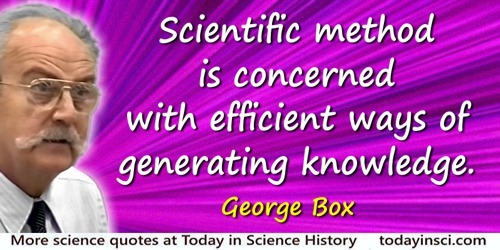 Scientific method is concerned with efficient ways of generating knowledge. The laws of nature, as we understand them, are the foundation of our knowledge in natural things. So much as we know of them has been developed by the successive energies of the highest intellects, exerted through many ages. After a most rigid and scrutinizing examination upon principle and trial, a definite expression has been given to them; they have become, as it were, our belief or trust. From day to day we still examine and test our expressions of them. We have no interest in their retention if erroneous. 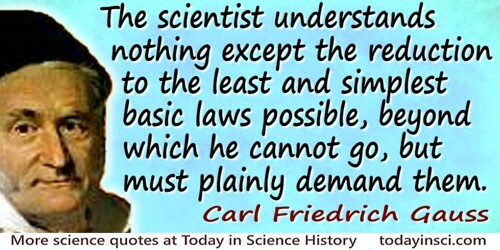 On the contrary, the greatest discovery a man could make would be to prove that one of these accepted laws was erroneous, and his greatest honour would be the discovery. Experimental researches in chemistry and physics (1859), 469. 'Professor Agassiz on the Darwinian Theory ... Interesting Facsimile Letter from the Great Naturalist', Scientific American, 1874, 30, 85. 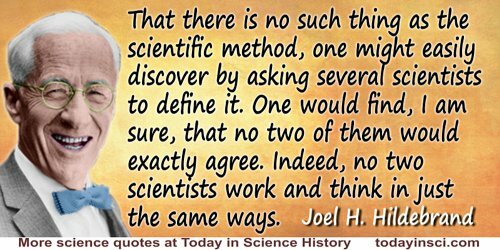 There are two objectionable types of believers: those who believe the incredible and those who believe that 'belief' must be discarded and replaced by 'the scientific method'. Natural Philosophy of Cause and Chance (1964), 209. 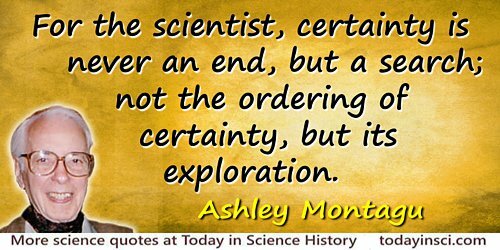 We see, then, that the elements of the scientific method are interrelated. 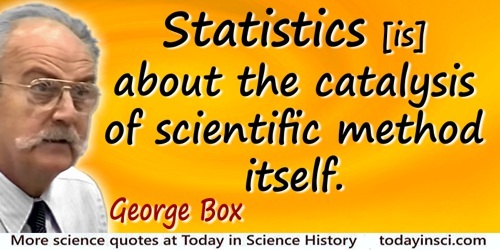 Facts are necessary materials; but their working up by experimental reasoning, i.e., by theory, is what establishes and really builds up science. 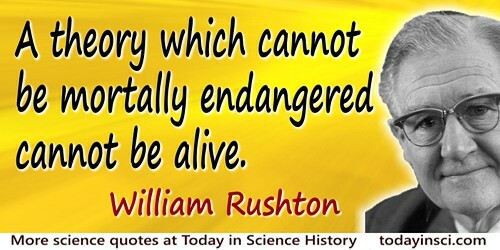 Ideas, given form by facts, embody science. 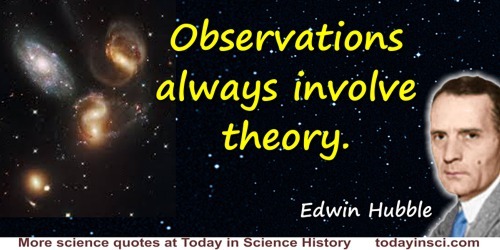 A scientific hypothesis is merely a scientific idea, preconceived or previsioned. 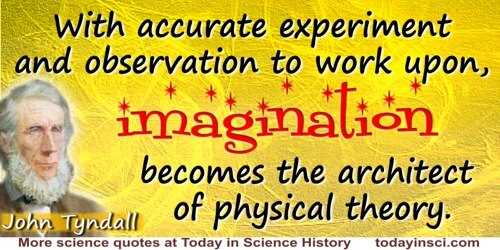 A theory is merely a scientific idea controlled by experiment. Reasoning merely gives a form to our ideas, so that everything, first and last, leads back to an idea. The idea is what establishes, as we shall see, the starting point or the primum movens of all scientific reasoning, and it is also the goal in the mind's aspiration toward the unknown. From An Introduction to the Study of Experimental Medicine (1865), as translated by Henry Copley Greene (1957), 26. In Science in the Making (1957), 9.